90% of everything we own once arrived in a shipping container. 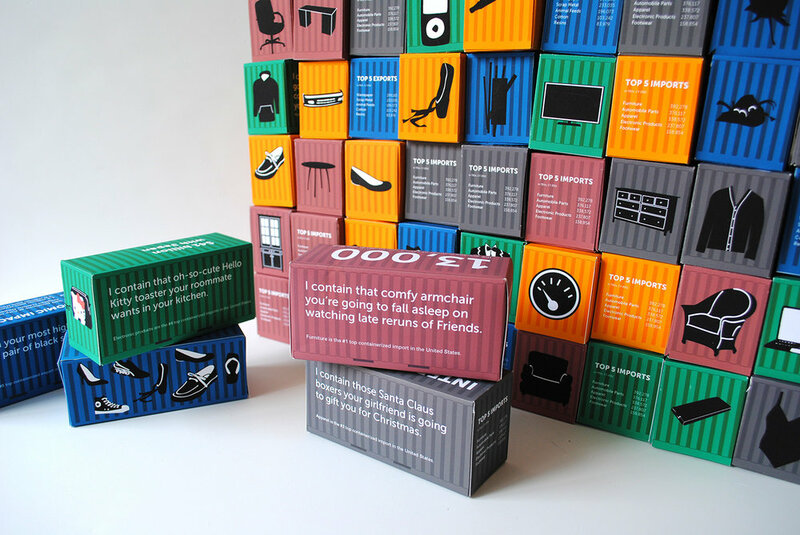 This project exhibits the sheer volume of shipping containers that come and go through the Port of L.A. and brings awareness to an industry not commonly talked about or even thought much about. 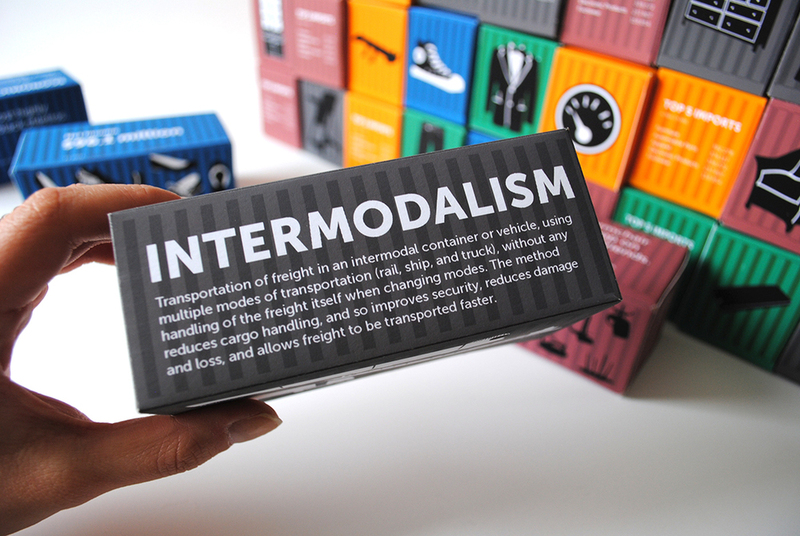 Each shipping container represents a top import/export product with a little story of what it contains (and how it might actually pertain to you!) + stats about the industry.